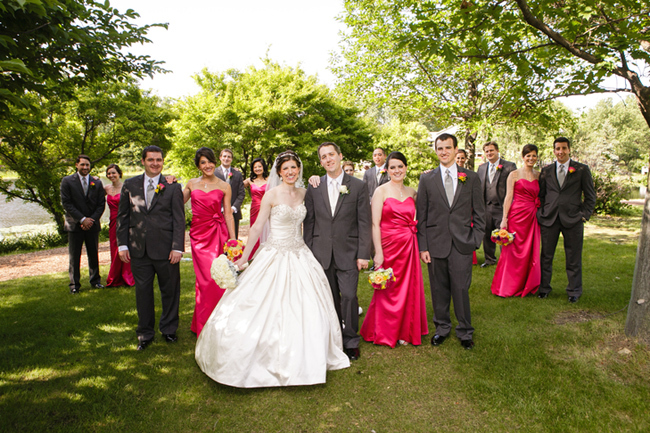 On a romantic walk near Lake Katherine in Palos Heights, Andrew asked Lisa to be his forever. He was a pilot, and they both knew their marriage would soar. 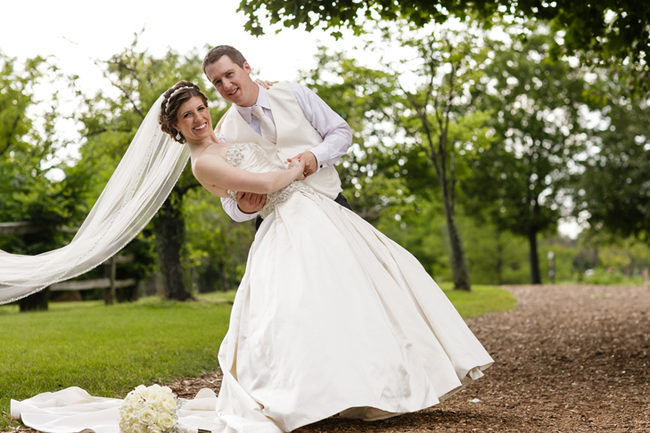 She was a teacher, but she wanted a wedding fit for a princess, with a stunning rhinestone gown, cathedral-length veil, and elegant country club setting. 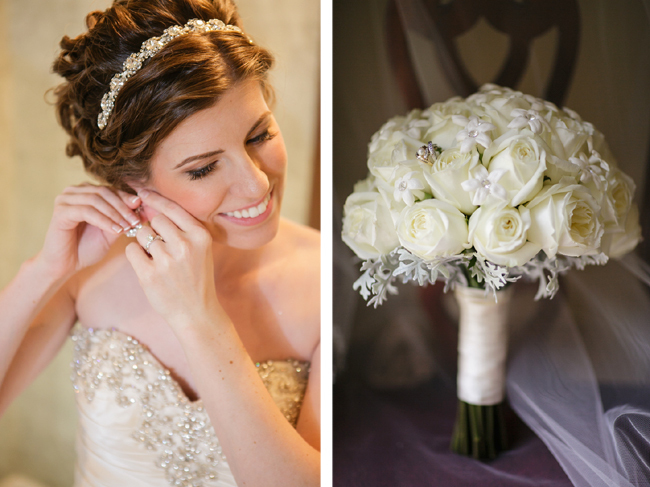 We loved the romantic white hydrangeas accented with bright pink and orange roses. 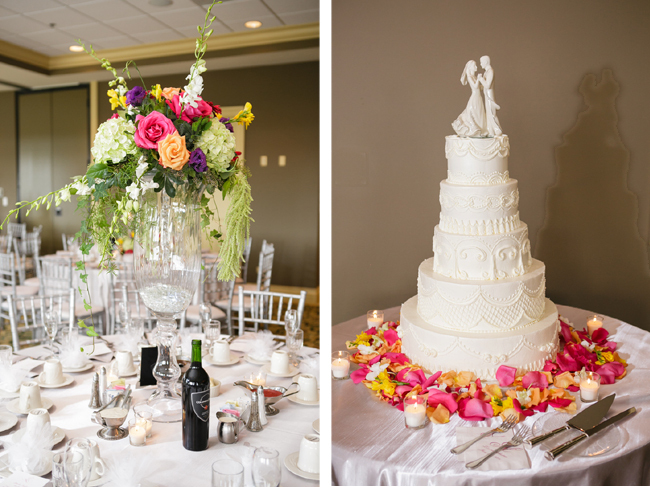 The reception at Crystal Tree Country Club in Orland Park featured great food, live music, a five-tier wedding cake, and a even a surprise flash mob comprised of family and friends. But, it was the bride and groom themselves who made this wedding day so special. 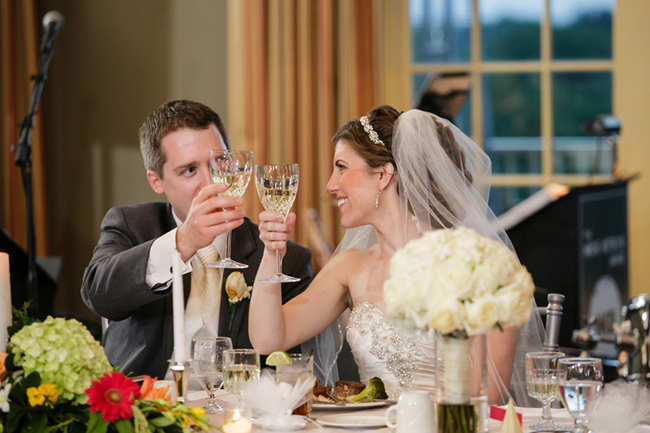 See more of this terrific couple at TheKnot.com. Congratulations Lisa and Andrew! We wish you all the love in the world and a lifetime of happiness together. Credits: Photos by Brittany Lynn Studios. Other wedding professionals included Mirar )Productions, BBJ Linen, Allur Bridal, Creative Cakes, and The Nick Kitsos Band.